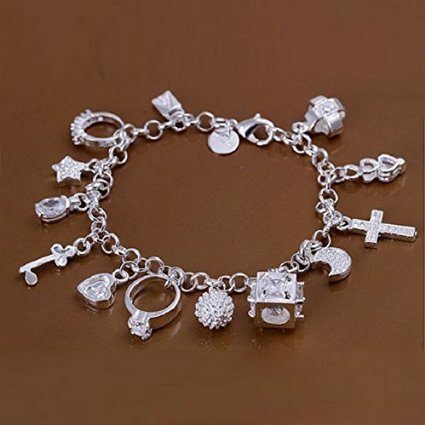 Silver Charm Bracelet Only $3.46 + FREE Shipping! You are here: Home / Great Deals / Amazon Deals / Silver Charm Bracelet Only $3.46 + FREE Shipping! Head over to Amazon and get this Silver Charm Bracelet for only $3.46 plus FREE shipping! **This will NOT arrive in time for Christmas, but would be great to keep on hand for a gift if it’s not for yourself.